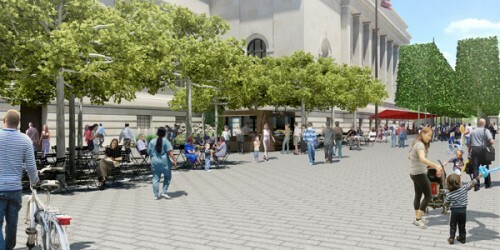 After its tony neighbors complained, the Metropolitan Museum of Art dropped plans for kiosks selling refreshments and tickets in a proposed plaza designed by OLIN, reports DNAinfo. The Met has been courting the nearby co-ops in monthly meetings, and doesn’t want the $60 million project to be held up. Construction is slated to begin in October. The community at large will get another gander at the construction plans at tomorrow night’s Community Board 8 meeting.